Providing exceptional workmanship and top quality service. John has a passion for the art of custom cabinetry. 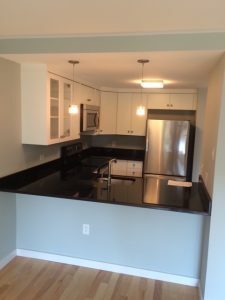 Backed by a 15 year career, he understands that with thoughtful and creative designs, combined with his knowledge of cabinetry construction, that he can change your cabinetry and kitchen dreams into a reality. His work has been featured in American Bungalow, Design New Jersey, New Hampshire Home and The Food Network. Over the years, John has enjoyed volunteering countless hours to many different organizations, with the goal to make his community a better place for his three children and wife of 27 years. In his down time, he enjoys going to auctions in search of antiques and historical documents.